As we get older, it is common to experience various forms of memory loss. We misplace things, forget appointments and can't quite find the right word. If there is no underlying medical condition, this is known as "age-associated memory impairment" and is considered to be part of normal aging. 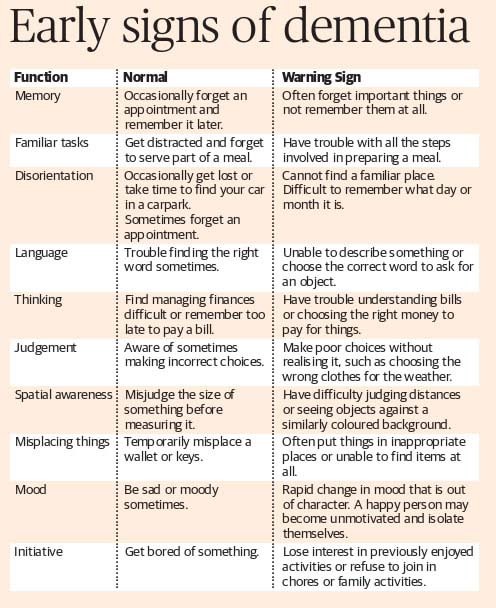 How do we differentiate between this normal part of the aging process and the early stages of dementia? The key difference is that in normal aging, cognitive abilities are diminished somewhat while in dementia, they are lost to the point that the person cannot function independently. It is important to see your doctor about memory concerns, but it is just as important to know that forgetting someone's name doesn't necessarily mean that you are getting dementia.